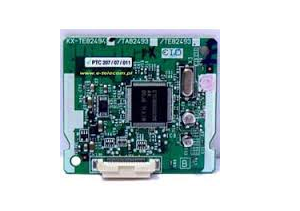 Expansion card for Panasonic PBX Systems KX-TEA308 & KX-TES824. This is a 3 Port Caller ID Card, it allows users to see the caller's identification, name if its in the memory, the phone number if not. The function works on standard single lines & with proprietory phones or any single line phone with display. The network provider should supports the Caller ID service.